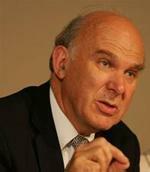 Liberal Democrat Member of Parliament for Twickenham since 1997, Vincent Cable is the Liberal Democrat Shadow Chancellor of the Exchequer and speaks for his party on issues of Finance, European Economic and Monetary Union and the City. Drafted the report for Commonwealth Prime-Ministers’ Conference on climate change and ‘greenhouse effect’. Helped prepare the report of the World Commission for the Environment with Mrs Brundtland (Prime Minister of Norway) and Mr Ramphal. Freelance work for World Bank and UN. Currently visiting fellow, Nuffield College, Oxford.